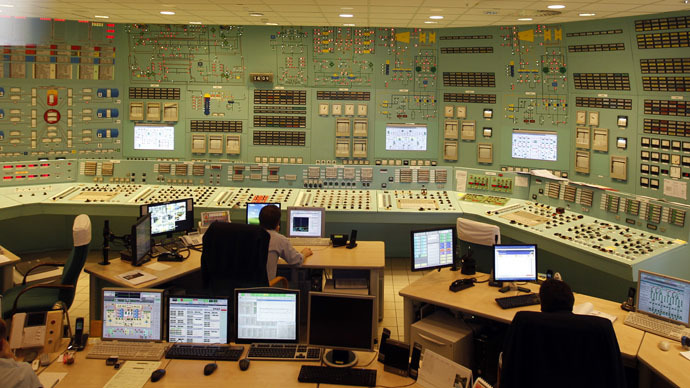 Russian nuclear engineers are to build two new reactors with combined capacity of 1,200 megawatts at Hungary’s only nuclear power plant, which currently has four reactors. The deal signed last year involves a €10-billion loan that Moscow offered to Budapest on condition that the money would pay for the equipment. The new reactors would have to be loaded with Russian-made fuel rods, which is a matter of safety for the new reactors. However EU’s nuclear fuel purchasing agency Euratom is opposing the exclusive deal. The Financial Times reported Thursday that the European Commission last week secretly backed Euroatom’s decision to block the deal. Hungarian government spokesman Zoltan Kovacs said the FT report was untrue, and that Budapest would demand that the newspaper publish a retraction. Russian nuclear agency Rosatom said “it had nothing to add” to Kovacs’ words and that as far as it knew, the deal was approved by the European Commission. Later European Commission spokesperson Anna-Kaisa Itkonen confirmed that the EU was not blocking the deal. Hungary is among EU members opposing Brussels’ drive to break ties with Russia over the ongoing Ukrainian crisis. Hungarian Prime Minister Viktor Orbán is a vocal opponent of EU sanctions against Moscow, which have led to a trade war between Russia and Europe. He also criticized the EU for derailing the South Stream pipeline project, which would route Russian natural gas to Europe through Bulgaria, Serbia and Hungary, providing extra energy security to Eastern Europe. Amid the criticism both at home and abroad, the PM’s Fidesz party won last year’s general election with a landslide victory, receiving almost 45 percent of votes.